A Turkish court has convicted a U.S. pastor at the centre of a Turkish-American diplomatic dispute of terror charges, but has released him from house arrest and allowed him to leave Turkey. A Turkish court has convicted an American pastor at the centre of a Turkish-American diplomatic dispute of terror charges but has released him from house arrest and allowed him to leave Turkey. The court near the western city of Izmir on Friday sentenced Andrew Brunson to three years and a month in prison for the conviction, but since the evangelical pastor has already spent two years in detention, he won't serve more time. On Friday, Brunson flew to Germany, his lawyer, Ismail Cem Halavurt said. Brunson had rejected the espionage and terror-related charges and strongly maintained his innocence. Brunson, who is from North Carolina and has worked in Turkey for more than 20 years, has been accused of helping the group headed by exiled cleric Fethullah Gulen, who has been living in Pennsylania and whose supporters Ankara says were behind a failed military coup in 2016. The pastor denied the charges but faced up to 35 years in jail. Earlier, this year he had been transferred from prison to house arrest. Brunson, 50, told the court Friday he is "an innocent man. I love Jesus. I love Turkey." The saga has been at the forefront of tense relations between the countries, who have slapped economic sanctions on each other as the case has wound its way through the courts. While the first year of U.S. President Donald Trump's administration passed with little public comment about the case, both Trump and Vice-President Mike Pence have increasingly taken up Brunson's case publicly in 2018. Trump welcomed the result on Friday on Twitter, hoping Brunson would be "safely back home soon!" Later on Friday, Trump told reporters Brunson will land at a military base near Washington on Saturday and will likely visit the White House the same day. "We're very honoured to have him back with us," Trump said. 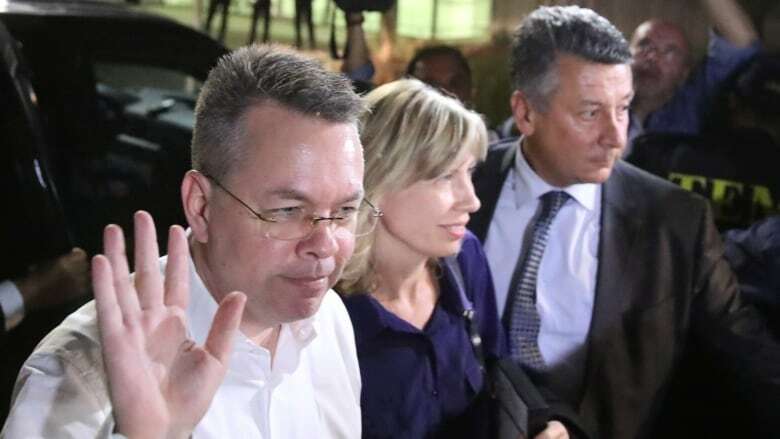 "He suffered greatly but we're very appreciative to a lot of people," he added, saying no deal had been made with Turkey on lifting U.S. sanctions in exchange for Brunson's release. Jay Sekulow, who has been a part of Trump's own legal team, has also been representing the Brunson family. "We're grateful to the president, members of Congress and diplomatic leaders who continued to put pressure on Turkey to secure the freedom of Pastor Brunson," Sekulow said. "The fact that he is now on a plane to the United States can only be viewed as a significant victory for Pastor Brunson and his family." Turkish President Recep Tayyip Erdogan had said he was powerless to interfere in Brunson's care and that Turkey won't extradite anyone to the U.S. until U.S. extradites Gulen. He was an ally of Erdogan's until a public falling-out in 2013 led the government to declare Gulen's network a terror group. Since the coup, the Turkish government has moved to purge or arrest thousands it believes were involved or sympathized with the Gulen movement, including people in the civil service, police forces, universities and media organizations. According to a New York Times report, the U.S. has expressed concern about some 20 Turkish-Americans who have been detained in the last two years. The conflicts over individual cases in civilian courts occurred as the two countries have been at odds over the war in Syria. Erdogan has consolidated power in the 18 months since the coup through a disputed referendum and recent re-election, which, along with a close relationship with Russian President Vladimir Putin, has concerned the U.S. and other NATO partners. 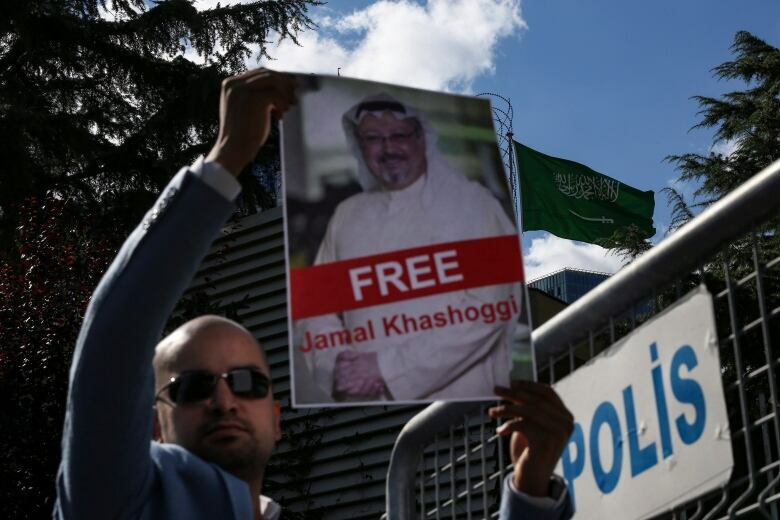 Brunson's release comes just 10 days after the disappearance of U.S.-based journalist Jamal Khashoggi at the Saudi consulate in Istanbul. Turkish officials say they fear Saudi Arabia killed and dismembered Khashoggi, without offering evidence explaining why they believe that. Khashoggi contributed columns to the Post, including some critical of Crown Prince Mohammed bin Salman, who the current U.S. administration has courted as an ally. Saudi officials reject the claims as "baseless." Brunson, who has lived in Turkey for more than two decades, was one of thousands caught up in a widespread Turkish government crackdown that followed a failed coup against the government in July 2016. He was accused of committing crimes on behalf of terror groups and of alleged links to outlawed Kurdish militants and to the network led by Gulen, who Turkey claims orchestrated the coup attempt. Gulen denies the claims. The court on Friday heard from two witnesses who cast doubt on testimony given at an earlier hearing, in which Brunson was accused of aiding terror groups. Brunson has repeatedly denied accusations that his church aided Kurdish militants, saying he had handed over a list of Syrian refugees whom the congregation had helped and adding that Turkish authorities would have identified any terrorists.